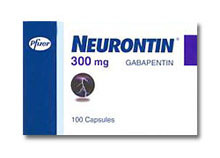 This medicine is an anticonvulsant used to treat seizures associated with epilepsy. It may also be used to treat pain due to abnormal nerve stimulation (neuropathic pain) and nerve pain associated with herpes zoster infection. It may also be used to treat other conditions as determined by your doctor. Additional monitoring of your dose or condition may be needed if you have kidney disease. 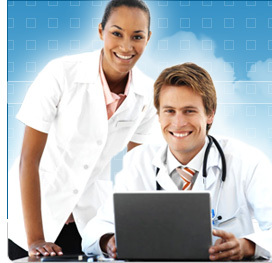 Inform your doctor of any other medical conditions, allergies, pregnancy, or breast-feeding. Contact your doctor or pharmacist if you have any questions or concerns about taking this medicine. Follow the directions for using this medicine provided by your doctor. This medicine may be taken on an empty stomach or with food. Do not take this medicine within 2 hours of taking an aluminum- or magnesium-containing antacid. Store this medicine at room temperature in a tightly-closed container, away from heat and light. If you miss a dose of this medicine, take it as soon as possible. If it is less than 2 hours until your next dose, take the missed dose immediately and take your next dose 1 to 2 hours later, then go back to your regular dosing schedule. Do not take 2 doses at once. Do not stop taking this medicine without first discussing with your doctor. This medicine may cause drowsiness or dizziness. This medicine will add to the effects of alcohol and other depressants. Ask your doctor or pharmacist if you have questions. Do not drive, operate machinery, or do anything else that could be dangerous until you know how you react to this medicine. Using this medicine alone, with other medicines, or with alcohol may lessen your ability to drive or to perform other potentially dangerous tasks. For women: if you plan on becoming pregnant, discuss with your doctor the benefits and risks of using this medicine during pregnancy. This medicine is excreted in breast milk. If you are or will be breast-feeding while taking this medicine, check with your doctor or pharmacist to discuss the benefits and risks to your baby. Side effects that may occur while taking this medicine include tiredness, drowsiness, dizziness, tremor, back pain, dry mouth, constipation, increased appetite, or an upset stomach. If they continue or are bothersome, check with your doctor. Check with your doctor as soon as possible if you experience decreased coordination, changes in vision (double or blurred vision), back and forth eye movements, persistent sore throat or fever, swelling of ankles, mental or mood changes, memory loss, or trouble speaking. If you notice other effects not listed above, contact your doctor, nurse, or pharmacist. If overdose is suspected, contact your local poison control center or emergency room immediately. Symptoms of overdose may include double vision, slurred speech, sluggishness, drowsiness, or diarrhea.